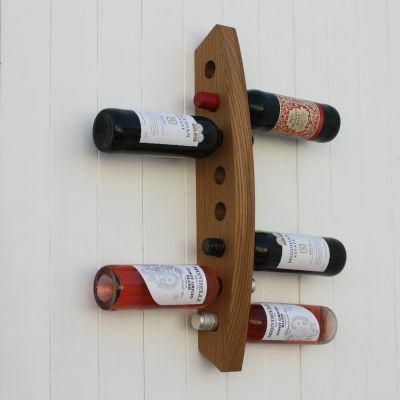 This simple design provides an elegant and practical solution to storing and displaying herbs, spices and more. Make a feature of all those everyday cooking essentials by displaying them in beautiful clip top glass jars. Not only will they keep fresh for longer, you won’t waste time rummaging around in the back of the cupboard for that elusive ingredient. 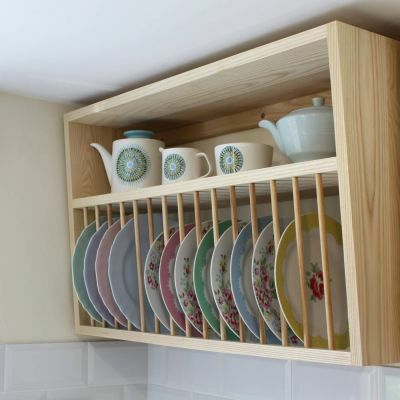 The storage jar larder attaches to the wall using concealed fixings, which are supplied together with a template. You can also order the clip top jars from us. We offer a number of different options; all jars included, spice jars only or larger jars only. Please see the drop down menu above. If you wish to use your own jars, you're welcome to order the oak larder on its own, but please do refer to the dimensions below to ensure your jars will fit! 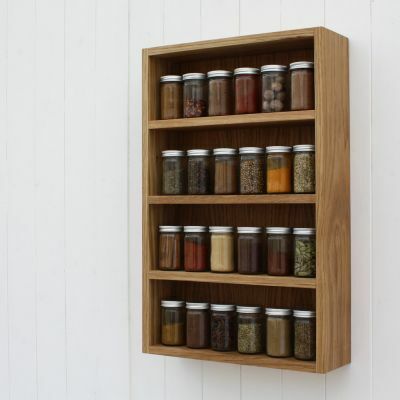 We are always happy to discuss bespoke sizes, so if you require a storage jar larder in a slightly different size, do get in touch.